The morning of March 23 was chilly, burning off into a warm afternoon. I didn’t attend school since I had an appointment with the Internal Revenue Service (IRS). When I touched base there, the streets were occupied, not surprisingly, since the IRS office is situated in downtown Los Angeles. I spent the following four hours without cell phone service in the IRS office. It was miserable. 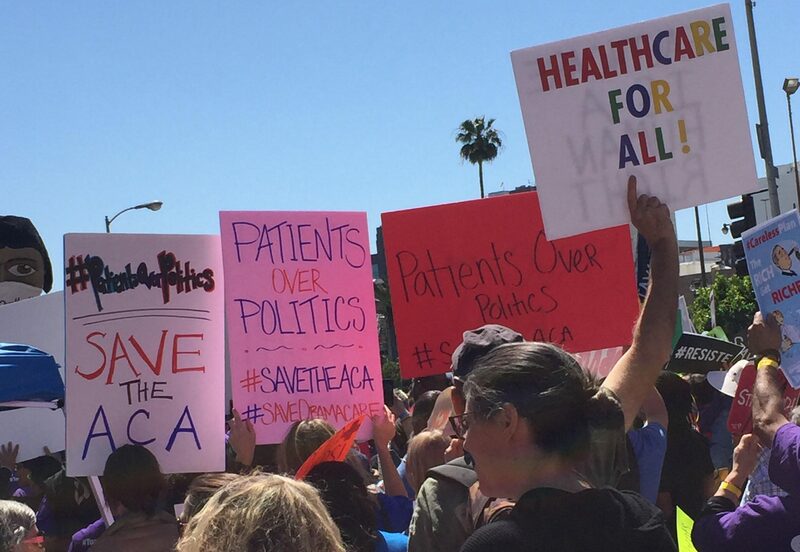 When I finally left the building, I was stunned to see an enormous group of individuals right outside the federal building protesting for the Affordable Care Act (ACA), otherwise known as Obamacare. The streets were shut, individuals were shouting, and every step of the way I saw individuals challenge for their rights and some possibly for their life. It was as though I was stuck in an illusion. After several hours of protesting, a wise African-American male said a few words that touched me. As I was strolling around I saw an elderly handicapped women on a wheelchair holding up a sign saying “being old wasn’t hard enough!” Seeing diverse individuals at the same time battling for one shared objective lit a spark inside me. A spark that will teach me never to give up on myself and for what I believe in. It wasn’t until this day when I finally realized how vital the reasonable care act was to millions of American citizens. It was one of the very few times I’ve seen a huge number of individuals joined together to finish one objective. President Trump is currently in the process of revoking Obamacare in which will affect a large number of American citizens without human services. Since Obamacare was passed, a large number of citizens in recent history can afford the cost of medical services. Obamacare has helped countless individuals manage the cost of social insurance, and canceling it will leave numerous occupants and subjects without medical advantages. As the battle for reasonable social insurance proceeds, there is no doubt that numerous residents will keep on fighting for the ACA.